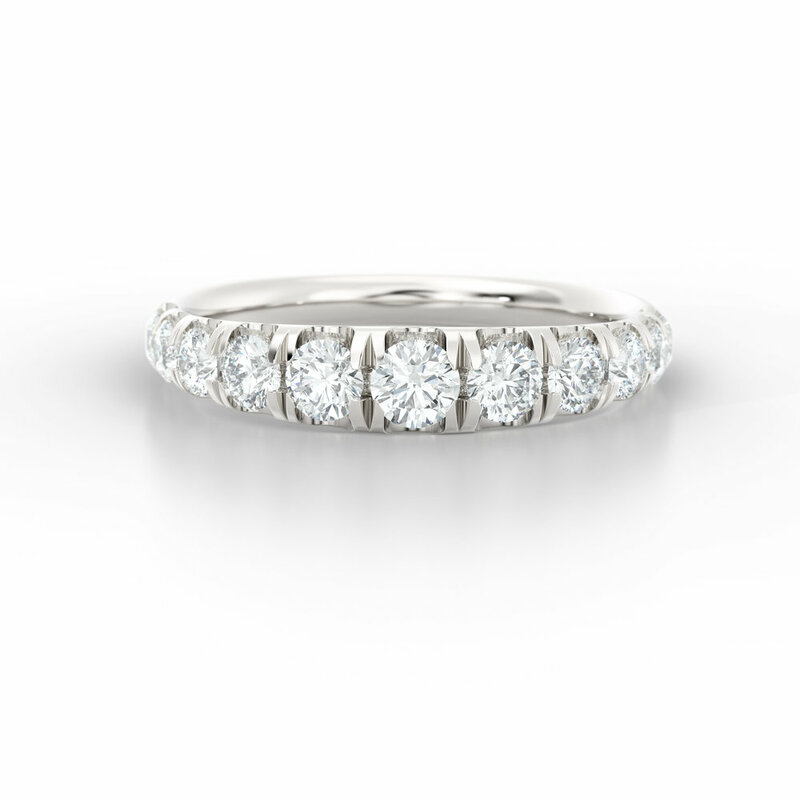 Hand-made to order in our Hatton Garden studio. Our eternity rings are available in platinum, yellow gold, rose gold & white gold along with a stunning range settings and diamond shapes. Our diamonds are sourced from mines all over the world to bring you the finest quality diamonds, of outstanding colour and clarity using only GIA certified conflict free diamonds. With skills that have been passed down through the generations we are committed to offering both quality and value no matter what your budget is. The final amount of your ring will depend on the shape, cut, colour and clarity of your diamond choice.